Hi Everyone! 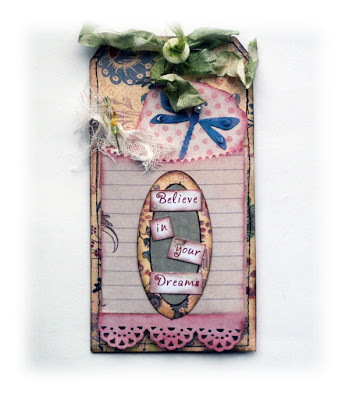 It's Lisa here today and I am sharing a tag I created with the beautiful new This N That collection. This collection is full of so many cute tags, envelopes and notecards. I layered the Large Confectionery Bag over my tag and inked the edges. I printed the quote out, cut the words apart and inked the edges. I cut out the fancy insert card/ tag and added it to the envelope. 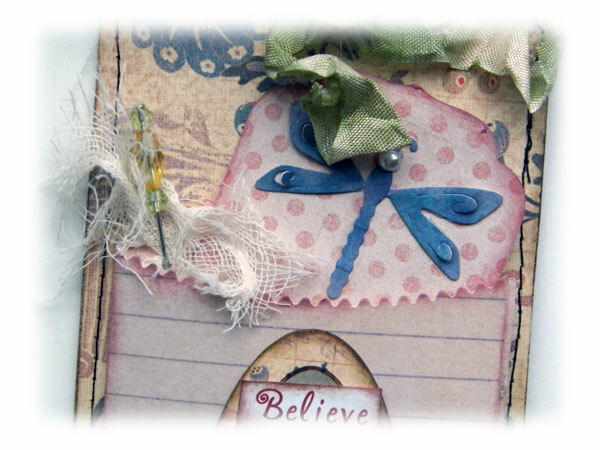 The tag is so cute and I added the Mini Dragonfly to it. A little cheesecloth and a pin add a shabby touch. Thank you for your visit today! Have a great week! I can't wait to get mine new dies :) I like how you used this bag and combined it with other dies. Gorgeous tag, Lisa! I love the colors and the new dies you used are just awesome! Can't wait to get mine... :). Great work, as always! Lisa this is so cute. I love what you did with the bag. The dragonfly looks perfect for spring. Beautifully done!